These are the only socks I'll ever buy, these are extra thick and fit like a glove. Amazing quality cotton, haven't needed to replace these over the past 2 years and they've been washed hundreds of times. Great value purchase for socks that last. They're great quality socks as always with Nike but I don't like the arch compression across the midfoot, makes the socks too tight. 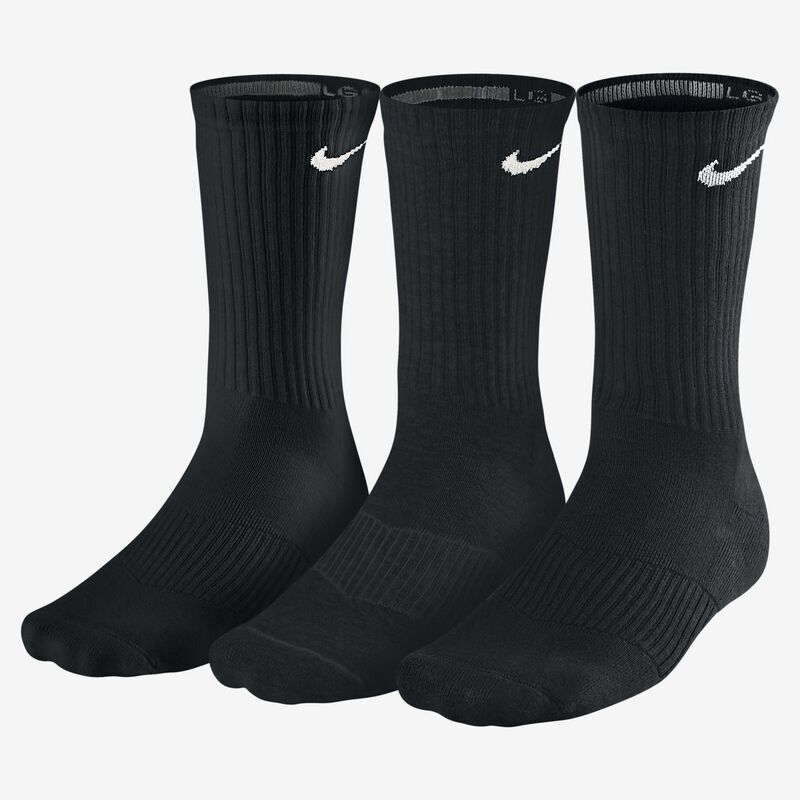 Seems you can't buy crew socks anymore without arch compression. Maybe this is good for sports but for casual wear completely pointless. Wish Nike would make some standard crew socks without the tight midfoot area. These socks have a big sizing. I bought a size L which is for size 8-12. And I'm an 8.5 but these socks fit too long. I wish I returned them as soon as I bought them. Such a waste of €12. Ughhh. I recommend to size down on these. It's a good sock but bad sizing. Why don't you make socks for each size 8-9, 9-10, etc not 5 sizes in one.